Bright, bold and sparkly! 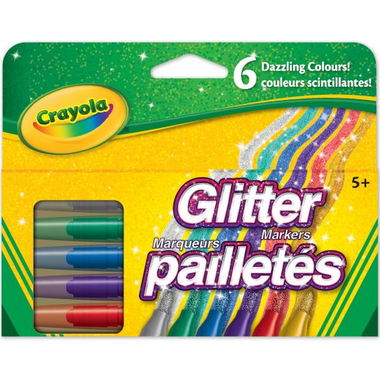 Crayola Glitter Markers add an extra dazzling touch to homemade cards, crafts and colourful art projects. Includes six shimmering shades to choose from. These didn't seem to work very well. They are sparkly, but feel very dry when you are drawing with them. Exactly what you'd expect from Crayola. Bright colours and just enough sparkles.